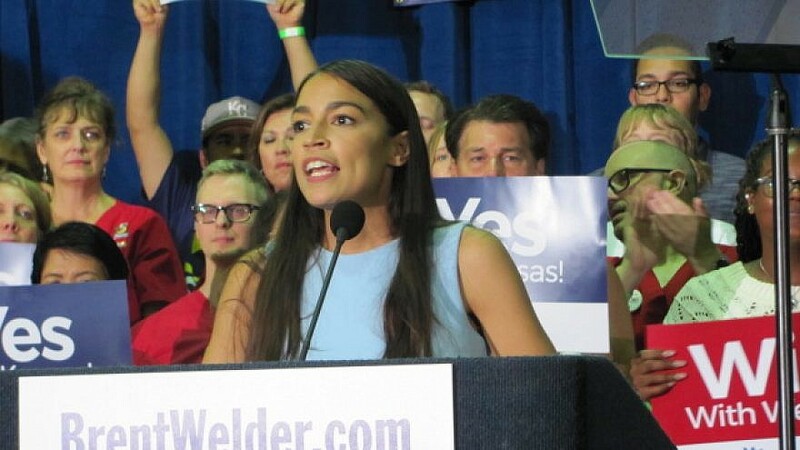 Alexandria Ocasio-Cortez at the Reardon Convention Center in Kansas City, Kan., on July 20, 2018. Credit: Mark Dillman/Wikimedia Commons. “And I think that—and I also acknowledge my role in this as well in that I hope to play a facilitating role in this conversation and a supportive role in this conversation, but I also know there are people that have been leading on this for a long time, like Congresswoman [Betty] McCollum,” she continued. In October, McCollum accused Israel of being an “apartheid” state. The Jewish Democratic Council of America criticized Ocasio-Cortez’s remarks, urging her to speak to fellow Democratic representatives on the issue. “We recommend she engage with Dem leaders Eliot Engel, Nita Lowey, & Congressman Ted Deutch before contemplating the future of US military aid to Israel. US-Israel ties must supersede politics,” the group wrote on Facebook.